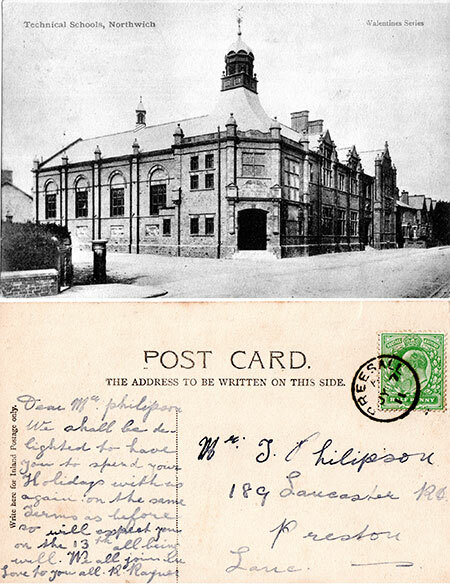 Ha’penny Messages is a new exhibition of local Edwardian postcards at Weaver Hall Museum from the 24 March until 29 April. The popular postcard exhibition first shown at the Northwich Plaza last year will be back on display in the town this month. 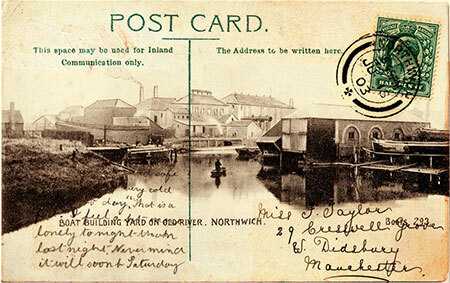 The Ha’penny Messages are a special selection of used postcards of Northwich scenes selected from the John Chesworth collection. 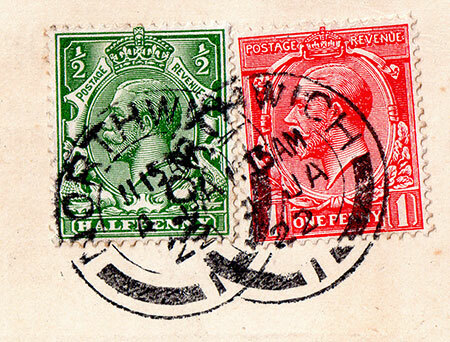 Mostly a century old or more, they have been enlarged to ten times their original size. For many visitors the messages displayed alongside the postcards will be just as fascinating as the actual photographs. Each one is a small piece of social documentary. Visitors to the exhibition will also have the opportunity to see original Edwardian postcards from the Weaver Hall collection on display. These include scenes of the infamous subsidence in the town and salt workers at the Lion Salt Works. There will be a free public preview event on Saturday 24 March from 2pm to 4pm. Visitors can bring along their own Edwardian postcards and photographs for identification by Linda Clarke from Cheshire Archives. Alan Carr will give a talk on the exhibition from 3pm to 4pm. The exhibition is free to visit with a charge if visitors wish to look around the rest of the museum. For further information contact the museum on: 01606 271640.